What do you think your company is worth? Imagine your team winning the semi-finals of the big league play offs. You’re all set to play the game of your life. The one that will put your name down in history leaving the kind of legacy and trophy story you had always envisioned. You get to the day of the event and suit up. You’re all set to go out on the field and suddenly you discover you don’t have a playbook. You don’t know the rules that will be used to govern your team’s play in the championship. Yet you will be expected to play. You’re chances of winning are close to zero. This is what is happening to business owners today. They think their companies are worth a certain amount. Confidently, they step onto the playing field to find a buyer. Like a player who didn’t see the hit coming, they suddenly discover they needed to have prepared a playbook long before that big day. Not sure if this applies to you? 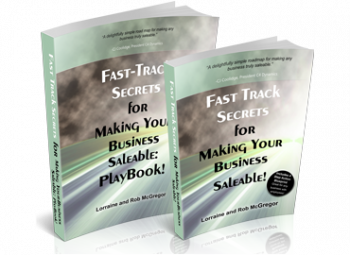 Here is a business owner’s experience going forward with the wrong playbook. 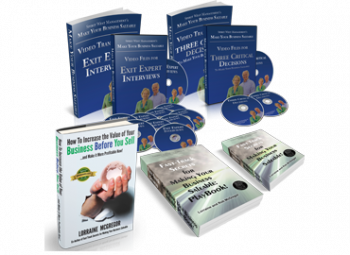 You will be gone through step-by-step evaluation process that will discover both strong and weak sides of your business. In such a way you will have a second opinion, fresh look at the current situation and as a consequence you will be able to take necessary actions if you think those are good points to apply. 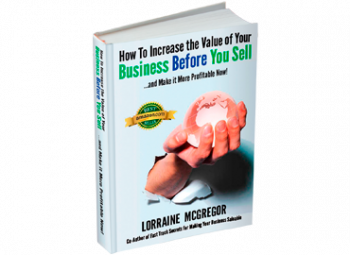 Every business owner should know if their biggest asset is saleable. Learn inside tips to improve your odds and test yourself. Want to receive more insights on business performance or making your business saleble?